El Niño is officially finished, and waters in the east-equatorial Pacific Ocean have returned to near normal temperatures. But like a pendulum swinging back and forth, it appears ocean temperatures will swing the other direction, dipping below average and leading to a La Niña. 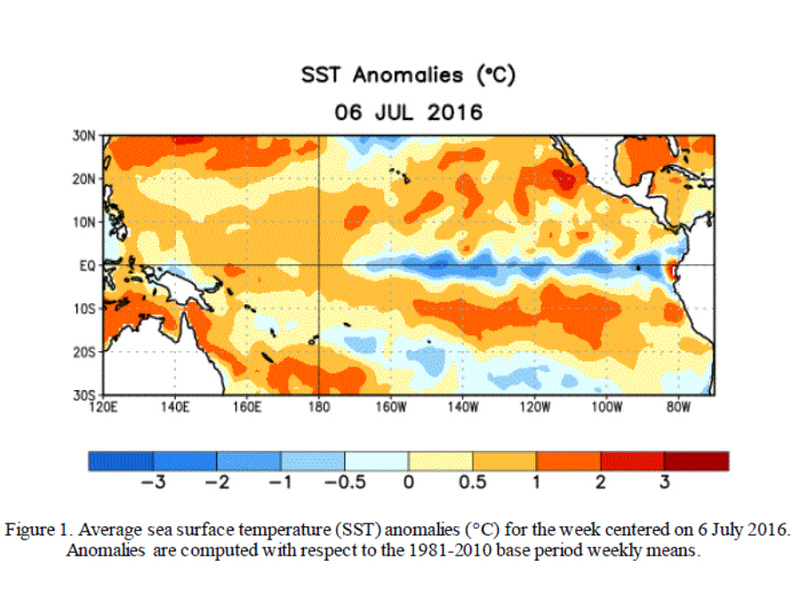 The Climate Prediction Center issued a La Niña watch, which means we could see one developing in the next six months. 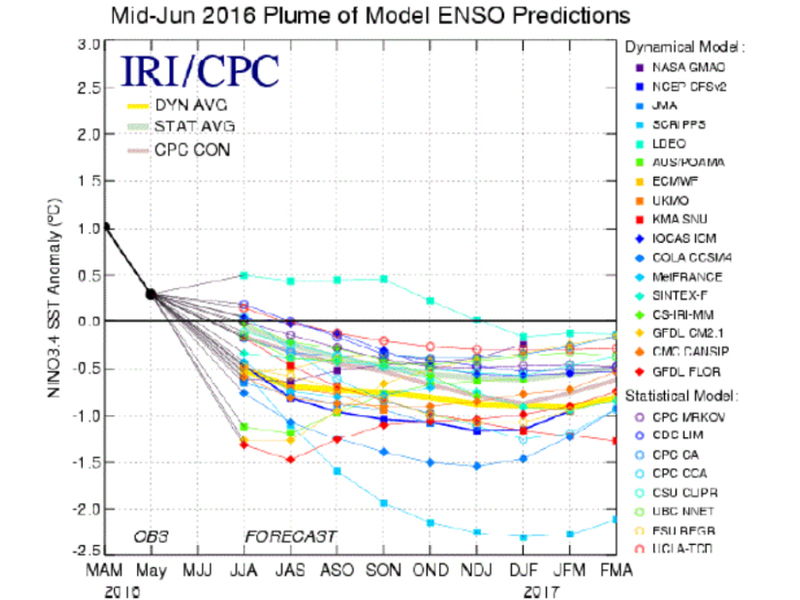 The latest forecast models have weak La Niña conditions developing sometime between August and October this year. La Niña events typically have smaller impacts on weather in the United States, but if a weak event were to form in the late summer or early fall, the U.S. could feel a few minor changes in our weather. For starters, it could give a little boost to the tail end of the Atlantic hurricane season. Heading into the winter, it could mean a warmer, more dry winter across the southern third of the country. The Great Lakes and the Pacific Northwest are also typically slightly wetter during La Niña winters. However, since this is expected to be a relatively weak La Niña, most of the changes to weather across the country will likely be small as well.